« Were you a Barbie-Girl or a Sindy-Girl? Norwegian band a-ha formed in 1982 and comprised lead vocalist Morten Harket, guitarist Paul Waaktaar and keyboard player Magne Furuholmen. The band are still together today, and have been throughout apart from a period of four years between 1994 and 1998. The band took their name from the exclamation a-ha, like you say when you suddenly realise the solution to a problem. 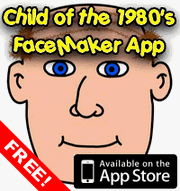 It was in 1985 that the band really hit the big time with the release of their biggest hit, Take On Me. Not only was it a great song but it also had an exceptional video to go along with it. The video centred around a young girl reading a comic in a cafe. She ends up being literally pulled into the comic, and the video then becomes a mix of live action and animation. There’s one particularly memorable part where there is a kind of window in the comic book world. When the animated version of Harket moves behind this window he becomes real. It’s hard to explain, but check out the video at the end of this post to see what I mean. 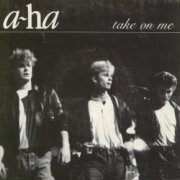 Take On Me topped the charts in several countries including the US, Australia, Japan and the bands home Norway. It only managed to get to number 2 in the UK charts on it’s original release, which given the amount it was played at the time I’m really surprised about. Following on from this initial success a-ha enjoyed more with their second single The Sun Always Shines On TV, which did manage to get the UK number one slot. Surprisingly, the band seemed to lose the interest of America for some reason, and this was the last of their songs to make it into the US Billboard charts. Their popularity continued in the UK and Europe however, with the release of Hunting High and Low, another single and also the name of their first album, which came out in 1985. Their second album, entitled Scoundrel Days was released in 1986 and featured the hit single Cry Wolf. In 1988 they followed this with Stay On These Roads, which contained the titular single and also James Bond theme The Living Daylights. The 1990’s brought two more albums, and since the turn of the century a-ha have released three further albums. In total they have sold over 80 million albums and singles. This entry is filed under Music - Artists	and was posted on May 19th, 2008. You can follow any responses to this entry through the RSS 2.0 feed. You can leave a response, or trackback from your own site. Not bad opposition all in all ! You’re quite right, Take On Me was indeed a 1985 song, I’ll correct that. I can “sing” bits of them from memory.